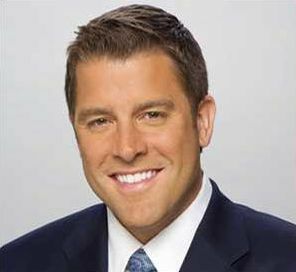 – Rob Johnson is here to stay – the co-anchor of CBS-owned WBBM-TV’s 5 p.m., 6 p.m., and 10 p.m. newscasts has signed a contract renewal in news first reported by Robert Feder on his Facebook page Sunday. Rumors were posted on a few sites noting his “possible demise” due to low ratings, but Johnson said neither he, his agent, or the station were aware of any possible anchor change. While CBS 2 could have nixed Johnson, keep in mind ratings sometimes don’t tell the whole story – both Johnson and co-anchor Kate Sullivan have great chemistry together and it’s been only a few months since both are anchoring all three main news slots (both had been anchoring the 6 p.m. newscast for only four months.) With the anchor situation now stabilized, the future looks bright for CBS 2. – As reported here and other places last week, Meredith Vieira’s new talk show gig was declared a firm go for fall 2014 – and as expected, WMAQ in Chicago and nine other o&o stations have cleared the series on their daytime lineups, repping 27 percent of the country. NBCU Television Distribution now plans to sell the series in other markets. Meredith could become a replacement for Katie on a few stations since the under performing talk show’s contract is up after this upcoming season and the future of Ms. Couric’s program is doubtful at best. – Daniel Carcillo, who played for the Stanley Cup champion Chicago Blackhawks this season, has been traded to the Los Angeles Kings in exchange for a draft pick. If you recall, the often-injured Carcillo briefly had a WGN radio show called The Bomb Shelter, thanks to his relationship with then-WGN boss Tom Langamyer. Despite initial misgivings from yours truly (Carcillo was hired two months before Khloe Kardashian landed a gig at a Dallas radio station), Carcillo’s radio show was actually very good and a refreshing listen – and it turns out Carcillo is an avid fan of the medium. Don’t be surprised if Carcillo considers radio as a post-hockey career choice. Watch out Ryan Seacrest – the “Car Bomb” is coming for you. – Good news for fans (if any left) of the TV series Heroes: you’re getting a fifth season after all… only it won’t be on TV anywhere – not even on Hulu or Netflix – you’ll have to head down to your local comic book store. Writer Cullen Bunn and Dynamite Entertainment are bringing Heroes back in a series of comic books to serve as a defacto fifth season. In the new storylines, Claire is expected to be the center of attention in the first issue with most of the characters (Milo, Sylar, etc.) appearing. Unlike the TV series, the Heroes comics are expected to take on a bit of an anthology format, with a different character taking a point of view with each issue. During Heroes 2006-10 run, NBC released a series of” webcomics” or short graphic novels, based on the show running seven to nine pages long. The novels are still available on NBC.com – Click here to go to the site or here for a full listing and downloadable PDF files for each comic. None of the original writing staff is involved, including series creator Tim Kring, who once called viewers of the show “dipshits” for not watching the show “in a more superior way”.. And besides, Kring would need to ask his supervisor at Wal-Mart for time off to work on the project. – Another classic studio name has resurfaced: MGM is syndicating new first-run strip Paternity Court, but is producing the show under the name of Orion Television, Inc., whom MGM acquired the studio’s assets from John Kluge’s Metromedia in 1998. Orion had some of the biggest box office smashes in the 1980’s, including Platoon, Hoosiers, and the Academy Award winning film Dances With Wolves. The television production side had the Filmways library (Green Acres, Addams Family, etc. ), produced series such as Cagney & Lacey and revivals of game shows Hollywood Squares and High Rollers. But the studio fortunes went south by 1989 when Squares went off the air and new first-run syndicated series Crimewatch Tonight (an America’s Most Wanted ripoff) was canceled after two months. Orion closed its television operations down in 1991 after selling the rights to Squares, and the studio filed for bankruptcy in 1992. In 1990, former syndicator Telepictures was rechristened as a production company for Warner Bros., who bought Lorimar-Telepictures in early 1989, three years after both of them merged.